1. Are you thinking about going to a writers conference in 2016? I found this link on The Write Conversation. This website has articles on what agents look for, how to get your blog noticed by using key words, and other subjects. 2. James R. Preston guest posts at Writers in the Storm. He gives three reasons to believe in your work. 3. Here's another reason to not take everything the mainstream media says as gospel truth. WND reports that the shooter at the Colorado Abortion Clinic was not a Republican as the media claimed. He had no ties to pro-life organizations, which condemned his actions. Check out the story. 4. Lucinda McDowell Seacrest, at The Write Conversation, urges us to think and pray before we write. Who hasn't seen the virtual fist fights on Facebook? Our words carry power. It doesn't mean we shouldn't voice our opinions or concerns, but our attitudes and the way we express ourselves say a lot about who we are. 5. Here we are deep into January. I'm longing for spring and flowers. A couple of people have given me orchid plants - much to my horror. The first one I received years ago, and I promptly killed it. In case someone has given you one of these beauties or their gorgeous blooms enticed you to bring them home, here's a website to help you keep them alive and thriving. Writers: Have you been to a writers conference? Please share your experience and how you benefited. 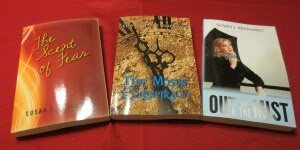 Readers: Other than the Bible, what book has strengthened your faith or given you a new perspective on life? Please share. It has been a while since I attended a non-virtual writer's conference. (Indie Re-Con, on the other hand is a can't miss.) Mostly it was good motivation to keep my head in the game at a time when I was deeply plagued with self-doubt. But I also got some great social media ideas that I put to use right away. I have been really enjoying NT Wright's "For Everyone" series on various New Testament books. Most recently I've been reading the one on Matthew. He explains scripture well, winsomely in a very pastoral manner. Interesting assortment of links. 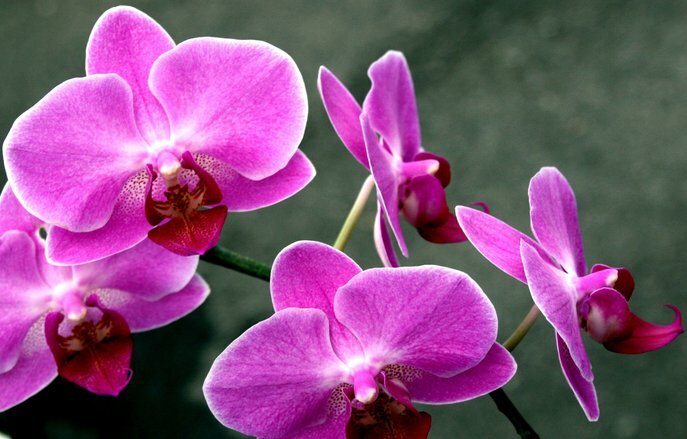 I love your orchid photo. I'd keep one too, but I have a fear that I'd do what you did and kill it. My sister-in-law gave one to her mother who then gave it an ice cube a week. It apparently worked and kept the plant alive. Hi Laurel - Nice to see you! I've learned so much at writers conferences and made great connections. Hi Susan - My friend, a former florist, recommends two ice cubes a day. The orchid she gave me has re-bloomed for the third time. I'm hoping to duplicate that success with two mini-orchid plants someone gave me recently. Thanks for the links, Susan. I will share this to our writers group facebook page. As you know, I've been to a writers conference! We met there, and that is one of the best reasons to go to one - the valuable relationships you create. I'm going to Mt. Hermon this March. God provided, and I'm so excited. Crazy Love by Francis Chan provoked me to go deeper in my walk with the Lord. The Purpose Driven Life by Rick Warren is awesome! Writing: A Journey or a Race? New Year's Resolutions - No, Thanks!